This unique Boulder Opal Teapot rock was mined from Koroit in Australia by Cunnamulla poet and opal miner, Roy Sandford. The rock weighs approximately 9 lbs. First discovered in Quilpie, in Western Queensland in about 1870, the boulder opal is found embedded in ironstone boulders. 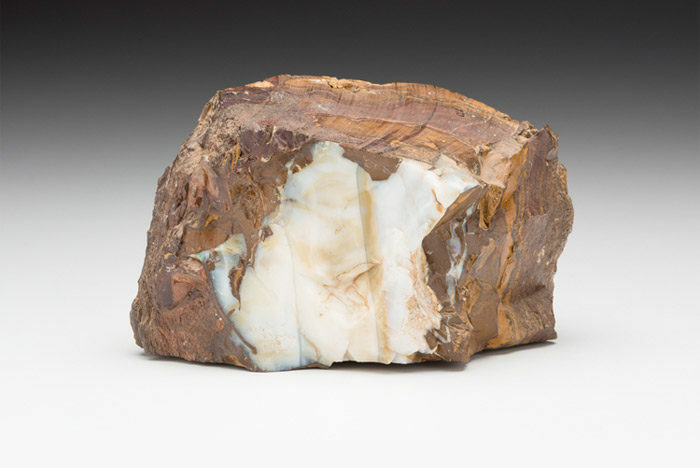 The opal usually forms as thin veins within these boulders, and most stones are cut to include some of the host ironstone matrix. Boulder opal is sometimes referred to as opal in matrix for this reason.